My eyes were red and swollen even before we arrived at the church. I had already been crying in the car, not so much for him, but for all that I knew had happened between us so many years before this day. 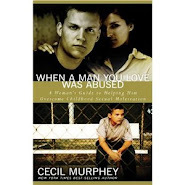 My older brother was just one of four primary abusers in my childhood, but in many ways he was the most damaging to me. And now he was dead. The swirling emotions I felt as I entered the church were toxic and overwhelming. Family members greeted me with saddened, concerned faces, yet no one seemed as broken as I was, including his widow and children. No one else seemed to be struggling to hold back scalding tears, even though I know that many were genuinely sad that a friend, son, husband, and father they loved was now gone. I had known a completely different person than they had. Music played softly on the sound system. I tried to put on a nice smile and talk with family members and friends, but as I saw the black and white photographs of our childhood years scroll by on the screen in the front of the church I ran down the hall to hide in the kitchen as I sobbed uncontrollably. Mercifully, the service was brief. I managed to stand and read his obituary and to sing The Lord’s Prayer at the end. I don’t know how I made it through, but I did. It was my “gift” to him, even though I don’t believe God’s will was done “on earth as it is in heaven” in our lives in any way. I don’t believe that big brothers were made to abuse their little brothers. I shook a few hands, hugged a few necks, offered a few platitudes, and exited the building. My wife offered to drive but I refused. A few moments later, as I was backing out of the parking space, the sobbing returned—even harder. We changed places and she drove us away from the church. I had said goodbye. I can't explain or justify the behavior of those who abused us. I know two former perpetrators and the response I've received from both is that they acted out of an overwhelming need. I'd call it an addiction (many may disagree), but the urge was so compelling they felt powerless to resist. If that's correct, they struggle with greater internal monsters than we do. Generally, perpetrators are victim-survivors of sexual abuse and carry the pain most of us have experienced. On top of that, they also become victimizers. I believe our abusers are tormented by their actions. Even though they feel they can't help themselves and find excuses for what they did, they also know they did something terrible. They stole our childhood innocence and brought immeasurable pain into our lives. Consequently, I see them as people in even greater pain than the rest of us. It took me years to feel that way, but now I've learned compassion toward myself but also toward the abusers. I had to move beyond my own pain before I could understand that those who hurt me were also living in agony. I do know they need my compassion. Sometimes the question comes, "Where was God?" When we ask such questions, we imply that if God is good, nothing bad should happen to us—or at least nothing bad to the innocent. Life just doesn't work that way. I've been reading the Bible for more than 50 years and the promises of God are to be with us in our pain and not to shield us. For example, "Even when I walk through the darkest valley, I will not be afraid, for you are close beside me" (Psalm 23:4, New Living Translation). I wish God had protected me during childhood. I hate the pain I've had to go through. Now—after dealing with my issues for years—I can look back and thank God for taking me through those terrible times. He didn't let me give up, and I'm healthier today. However, that's not all: I care about others in their pain because I can feel what they feel. Too often we forget the purpose of our ordeals. We come out stronger and more sensitive to the needs of others. We can wrap our arms around the hurting because we know how it feels to be hurt. I don't know why God didn't intervene. I do know that I can intervene when others are in pain. This question comes up regularly, and I could give many answers, but here's one: I forgive because I want to move forward in my healing. That probably sounds like a selfish answer, and it is—but it's also a necessary one. If I don't forgive, I hold on to my pain and won't let go. As long as I refuse to forgive, I will feel anger, rage, or some kind of negative emotion toward another. Holding on to those feelings holds me back. I want to make it clear: This is not a demand to forgive. We forgive when we're ready. We are the only ones who can decide on the right time. because I want to be free from my painful past. After we've been treading up the painful winding path toward wholeness, we look ahead and see how far we have yet to go. It's like hiking up a mountain, and just as we reach the summit, we stare ahead and realize that to reach the destination means we have to keep going to another summit. "There's always another mountain to climb," I groaned after about a year. Then I remembered the testimonies I used to hear from members of AA. After they told their stories of debauchery and agony, they went on to express the peace and joy they had experienced since their sobriety. Their presentations made it sound as if they had been totally healed. They weren't healed. Some of them hold up their tokens to proclaim their sobriety. And many of them didn't go back to alcohol. None of them had everything figured out. The best members of AA would say to me that the journey was still one day at a time. The most victorious were able to say they were closer to a healthier life. None of them ever talked about arrival. If you're agonizing over the journey yet ahead, perhaps you need to pause and look backward. I can look at how far I've already come. I can say, "I haven't arrived, but I'm on the way." Early in my healing process, I asked that question repeatedly. I was hurting and I couldn't understand the reason for the intense pain. 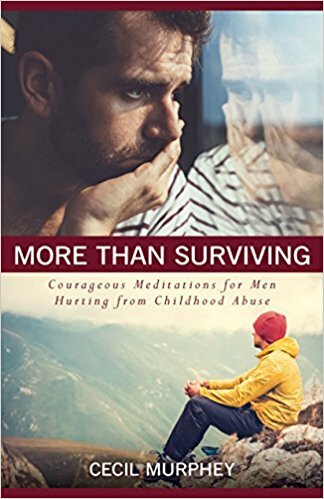 I wanted to face the reality of my traumatic childhood, learn from the experience, and move on with my life. But I didn't want the pain, or at least I wanted less of it. My real question didn't involve why as much as it did how. "How do I get rid of the torment, the painful memories and re-experiencing my childhood trauma?" Like thousands of other survivors, I learned to say those now-clichéd words, "I had to feel the pain to move beyond the pain." As memories trickled back (some exploded), I faced each one. In private, I cried often in those early days; I raged and I yelled at my perpetrators. In the midst of those rants and tears, I wanted relief. And it did help to vent, but it helped even more to talk to the two people who loved me enough to stay with me in my pain—my wife and my friend David. What worked for me may not be the path for everyone. We have different temperaments and see life through our personal, unique experiences. If we want healing, each of us needs to find our own way. I remind myself that it won't last. The more I heal, the less the pain lingers. "Why not you?" I've heard people say. That response lacks compassion. We were needy—but again, that wasn't our fault. We didn't receive the love and affection we deserved and should have had. Our parents may have loved us but they didn't express it or we didn't feel their love. If we didn't get what we needed from them, we became vulnerable and open to predators who treated us lovingly and gave us attention—but only as a means to take care of their own lust. Here's an answer that helps me. 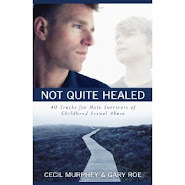 I was a needy kid and was abused, but now that I'm well into my healing journey, I can help others on their path to wholeness. Many of the emails that come to my personal box ask why in some form. Here's my answer: I don't know. I'm not sure anyone can fully give the reasons behind the queries about pain, injustice, healing, and anguish. Instead of asking for the reason something happens, it's more healthful to focus on the deeper, perhaps-unasked question. Here's my major reason for suggesting this: When we ask why, the natural answer is logical and analytical. We may gain information, but we rarely find help because our issues come from multi-layered pain and we want satisfying, emotional responses. ask yourself, "What do I really want?"